Thin, damaged hair happens to the best of us, making us want to hide in our homes and never go out—at least for the day. However, there are ways we can make the problem disappear and not have to cancel our plans. For starters, we can use a few fun hair accessories to get back that stylish look in our tresses on days when nothing else seems to work. Many times, a pony tail just does not seem to work. In such an instance, we can use a head wrap or a ribbon headband to make the most of a bad situation. You can coordinate your headband with your outfit and dress up your simple ponytail for that extra pop to your appearance. These accessories are fun, easy to use, and also do not cost you heaps of money. You can ensure that the headband stays in place by using a little hair spray or bobby pins beforehand. Scarves and head wraps can give your hair a fun and bohemian look. These accessories are both cute and casual and can be used to hide your messy hair with élan. A large, square silk scarf can be folded in half and put over the head. You can then cross the ends diagonally under your chin and wrap and tie the ends at the nape of your neck. This look is stylish, easy to carry, and takes little time to achieve. You can opt for a Fedora hat to get that fun and flirty look while camouflaging your thin, damaged hair when needed. These soft felt hats with a curled brim are available in a lot of options in terms of color and price. You can use these with summer tanks, swim wear, and even springtime clothes. You can create a magical look in your hair using nothing but hair pins. All you need to do is buy simple hair pins at your neighborhood store. You can decorate these with ribbons, flowers, and beads to go with your unique style. You can then use these pins while setting your hair in a side pony tail or a messy bun. The hair pins can make even simple hair styles come alive. You can even search online for shops that offer original hair accessories that are beautiful, innovative, and also affordable. You can then use these fun hair accessories to add that extra bling even on a bad hair day. These days, you can use clip-in hair extensions from leading brands to instantly transform your natural hair to long and gorgeous locks. You can opt for these extensions if you desire a longer style without having to wait for years for your hair to grow out. 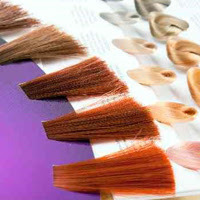 The best part is that you can use regular hair color to dye your hair extensions made of human hair. Bear in mind that artificial hair cannot be colored this way. You can use hair extensions made of natural hair to lengthen your existing hair strands and go completely wild with any hair color you might have in mind. According to hair stylists, you can create a more feminine look by adding brooches, pins, and even earnings with your braids and chignons. You can place these above the ear to hold the shorter layers of your hair or place them around the bottom of your bun. You can then secure them by looping a floral wire through your hair. You can pull your hair back into a simple ponytail and use a wide tortoise barrette to hold the strands in place. Barrettes are available in different styles and can appear more refined than ordinary elastic bands. Make sure to snap the barrette as close to your nape as possible to look your elegant best. The point is that there are a plethora of options when it comes to fun hair accessories and you can be as creative as you desire. In addition to shopping for headbands and barrettes, you can also use some old decorative ornaments lying around your dresser to adorn your locks and look your best. If nothing else seems to work, you can pin some fresh flowers on your hair to get a fanciful and natural vibe quite easily. The best part about using these accessories is that you can try them on your own with no stress and minimal fuss to get that feminine and more stylish look almost instantly. You can get creative with your hair accessories and try new shades of makeup to go with a particular look you might have in mind. Just go out there and express yourself to the world with some of the fun hair accessories mentioned above. This is a “win win” situation where you get to look your best and also end up having a lot of fun in the process.